Today I’m continuing with the A-Z Blogging Challenge! The aim is to write a post for every day of the month except for Sundays, with each post representing a different letter of the alphabet. This year, since I’ve just become a mum for the first time, my theme is: ‘an A-Z of Newborn Care’. I’ll be talking about all the highs and lows of parenting, sharing things that have been useful for me and posting some cute pictures. 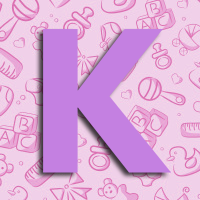 For the letter ‘K’ I have chosen to talk about Keepsakes. Photographs-I take so many of these so have some from most weeks of her life. I have almost filled a 200 photo album already and have some keyrings, wallet sized pictures and framed photographs too. 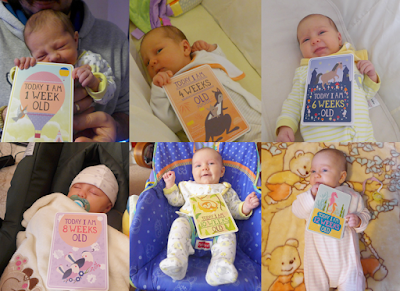 I use the these milestone baby cards to take photographs of special moments and track her development. Videos-I’ve made a few quick videos with my camera because I don’t want to forget any moment with her! I have one of her sleeping, one giggling, one ‘chatting’, one playing and so on. Here is one of her ‘eating’ in her sleep. Baby record books-I bought the Guess How Much I Love You baby book when I was still pregnant, and was gifted a Winnie the Pooh record book and ‘My First Five Years’ diary. I LOVE this type of thing and have recorded everything I can so far. I still have mine from when I was a baby and love looking through them, so I hope my daughter will enjoy them when she’s older. Hand and footprints-I received a kit for making an impression of my baby’s foot or hand print and I did her hand and used the leftover putty to spell out her name. 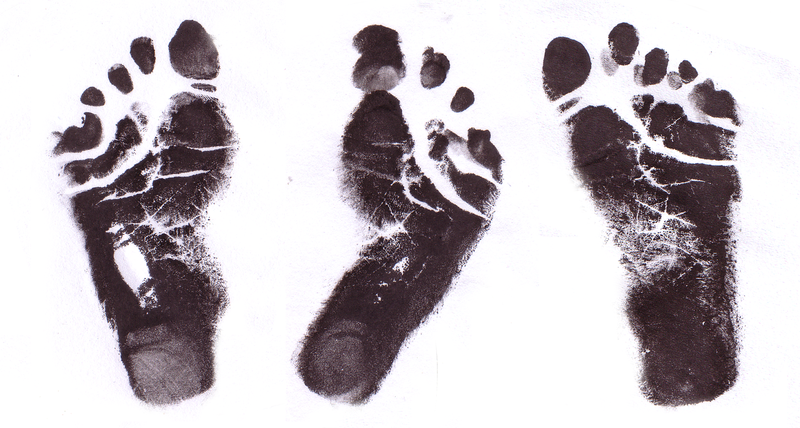 I was also given a kit to make a hand and footprint with ink to hang on the wall. The hand print was a bit of a fail because she refused to open her fist and got ink all over herself and me, but the footprints came out brilliantly and I used them to ‘sign’ her Mother’s Day cards. 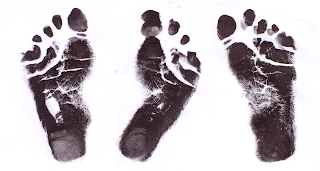 Leona’s footprints at 5 weeks old. Hand cast-My brother-in-law is a dentist and he very kindly made a cast of my daughter’s hand and filled it with plaster to create a little sculpture. It’s kind of creepy in it’s level of detail but will be an excellent lasting reminder of how tiny she was! Fingerprint Jewellery-My friend introduced me to a company that makes silver jewellery based on children’s fingerprints-Five Little Fingers. I haven’t had any made yet, but I would like to get a necklace. They also make memory bunnies made from baby’s first clothing. Memories Blog-I created a blog for my daughter that I used as a diary from the moment I discovered I was pregnant. It’s set to private so only my husband and I can see it. Each week I write about what we’ve done together and post photos and other memories. It’s a bit like an online scrapbook. When she’s older I’ll give her the password so that she can discover it all for herself. Other bits and bobs-I save lots of little things for her such as her hospital bracelets, a size 1 nappy with a lion on it to show how small she once was (clean, obviously! ), the tiny clothing she wore in the first couple of weeks. I also have a list of presents from friends and relatives and all the greetings cards we received. There is also a ‘lucky 50p’ that my Grandma placed in her hand when she first met her because you should cross a baby’s palm with silver according to an old tradition. I also plan to save a lock of hair when she has her first hair cut, and perhaps I will save her first baby tooth. If you have children, what kind of keepsakes did you save? Do you have any keepsakes from your own childhood?